Oh no! The price of gas is rising again, and so much for global warming. I was only joking when I said “Winter is Coming!” It was only meant to be a line from The Game of Thrones. I didn’t expect winter to last ten years. Well, at least it seems to have. Will winter ever end? We have too much snow. The politicians in Washington are still playing squabble over bills to see who has more power with nothing getting done. More snow on the way. And, the price of gas is back up to $2.29 a gallon. I only saw a $1.99 for one week. That’s all. We managed to fill our tank that week and haven’t seen the price of gas that low since. So much for that affordable trip to see my daughter this summer. I’ll still have to go one way or the other since it will be my Granddaughter’s first dance recital. and the next batch of laying hens. We have three original chickens left. The oldest has been around since 2009. They haven’t been laying eggs since September. It’s been a while. Something ran off with three of the hens in the middle of the night back then and the girls haven’t been the same since. It must have been a pretty traumatic event. Chick days are coming soon! Pax Titanus Read-along NEXT WEEK on Goodreads! Stop! Don’t cut that scene! Oh my God, I almost did that. There was this scene I’ve been working on and it sounded horrible. I sat there and stared at it and was ready to highlight and cut and destroy, but I closed the program instead. That was over a week ago. I just couldn’t bring myself to work on the manuscript anymore, except for fiddling with character sketches and plot points. Then I began playing the what if game with the storyline. What if this happened and then that. I came up with so many ideas that I think I can make work. Though, I still didn’t open up the program. I avoided it in every way I possible could. Tonight was the first time in over a week that I decided to give the work in progress another look, rereading what I was tempted to delete. Don’t delete! I’m so glad I didn’t. I can work with that. I merely needed to change a few things and wala, it’s going to be do-able. I slaved hard over those words. Taking an ax to them would have set me back in the story. I started to do this in The Dubious Heir – slashing a scene only to see later that it was a good scene. It just needed something to perk it up. I had cut it but saved it to a word file all of its own. The word count for that scene was more than 3k words. I’m glad I held onto it. Have you ever chopped a scene from your manuscript? 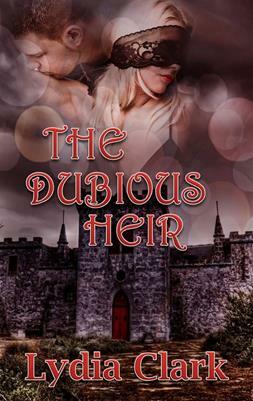 Here’s another chance to win a free paperback copy of The Dubious Heir. No purchase necessary. Follow the link to enter. The contest continues until a winner is picked at random. As soon as the Captain and his crew entered the inn another group rose from the table, paid and left, freeing up space. Nods and greetings were passed about on their way to the table as it was being cleared by their goblin waitress for the night. She was short and stout and full of vigor and hopes of making a substantial tip at the end of the night. “Aye, lassie, a large jug of mead will be good, and a romp with you later.” The Captain reached out and smacked his hand gently against the goblins rump and gave it a provocative rub. She let out a quick giggle and hurried away into the kitchen to gather the fixings for her patrons. “How can you carry on with a goblin?” Hurley asked as soon as the waitress was out of earshot. The table sounded with hand slaps on wood and bold laughter. “That we’ll have to see.” A voice announced directly behind the captain. Heads turned, the room went silent. “Duke Ellington, what a lovely surprise. What brings you in this neck of the woods?” Hurley asked pleasantly. “Oh? What is it that you need of our Captain?” Hurley asked. The first character to appear in Insane Desires is Beth Loyde. In order to move forward in the story, I decided to give her a little interview in hopes of learning more about her. Beth, I hear you want to be a knight. In other words a Dame. Why in the world would you want to live a crazy, dangerous life? Don’t you know you could get killed? Beth – I’m tired of being a nobody, a commoner. I want more in life. Adventure and to see the world, that’s what I want. I don’t wish to sit at home and have babies and sew, keep house and nothing more. I need to get out into the world and be a part of it. If I’m killed in the process, then so be it. So, you’re not doing this for status? Beth – Well, I was at first. I don’t want to marry the baker’s boy, that’s for sure. He is a nice guy and all, but I don’t desire to slave an oven for the rest of my life making bread. It would be nice if I could have someone else do all of that for me. Status and money goes hand in hand, who wouldn’t want that? Wanting all this adventure, would you ever settle down and marry? Beth – Absolutely not! That means having children and staying home. Where is the adventure in that? Wouldn’t you ever get tired of it? Beth – Maybe when I’m old and gray. I have many years before that will happen. But when you’re old, who will take care of you? Beth – (silence)… I will have to cross that bridge when I get there. So, getting back to your adventure, what do you think of Gyles Velley? Beth – (giggle)… He’s heaven. I can’t wait to learn to wrestle with him. Do you believe he would teach me? He is built like an elk and handsome as one too. I’ve seen nothing but kindness, even though I lost his horse. I thought for sure, he’d at least beat me for it. Has he agreed to take you on as a steward? Beth – So far. I’m not too sure he likes the idea. I did lose his horse, so there must be a way I can either recover it, pay for it or replace it. I would rather retrieve the horse, replacing it may not be an option. That costs money that I don’t have. What makes you think you have it in you to become a warrior of sorts? Do you know any other women who’ve gone before you? Beth – Oh yes! There was Tiffany Moss. She died a few years ago, mind you, but just the same, she was one of the first to pick up a sword and defend her holdfast from raiders. Then there is Vera. I just met her. I swear she can see right into your soul when she looks at you. 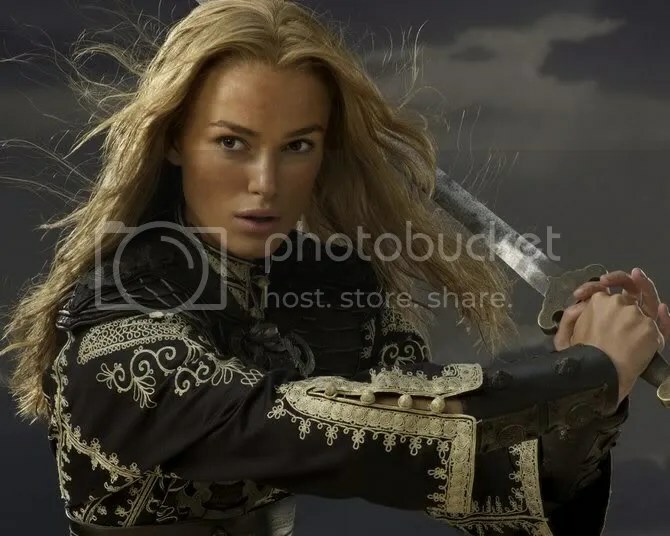 Men fear her blade, even elven men. Why didn’t you have her be your mentor? Beth – (silence)… I can’t say. (Blushes) She’s just, so… never mind. I’m sure I will be getting a lesson or two from her in the future. Maybe, that is if something should happen to Gyles and he isn’t around to teach me anymore. Is there anything you would like to add, that you want your readers and followers to know? Beth – We all make mistakes. I hope they don’t hold my mistakes against me. I’m really a good girl, who wants to achieve something of myself. There’s going to be another Giveaway happening soon. Real Soon! Mark your calendar. 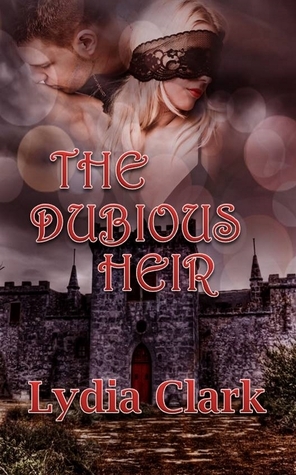 February 6, 2015 – February 10, 2015 The Dubious Heir will be free on Amazon Kindle. I’ve renewed the Kindle Exclusive allowing the book to remain part of the Kindle Unlimited Program. I could really use your help getting the word out, that is if you enjoyed the book. I hope you did – or do. If you are an Amazon Prime member, you can take advantage of the Kindle Select feature for the next three months. A gigolo who doesn’t know he is the heir to the throne and a Notorious Pirate’s daughter become involved in a deep plot to overtake the throne. The story is about a gigolo who is heir to the kingdom but doesn’t know it. It takes place in a tavern in a university town. The crux of the story involves someone reading a diary. The client is the daughter of a well-known pirate. She employs the gigolo knowing he is the heir to the throne. Her plan is to kidnap him and hold him for ransom and the release of her father who is being held prisoner in the Dungeon of Luxonbulm.